Revealing the very latest, new Citroen C5 Aircross SUV, an ambassador of the Citroen Advanced Comfort Programme. An SUV that is robust and muscular in size, with comfort and versatility key to the design. Taking a page from the Cactus’s book, the C5 Aircross features practical and stylish air bump detailing, protecting the lower door and wheel arch areas. You can even personalise your Citroen to match your personality and character. At first glance, you’ll see a large and powerful vehicle, but on closer inspection, the beauty of the C5 Aircross’ dynamic character really comes to life. The Citroen identity is ever present in the strong body features such as the innovative Airbump design. Measuring 4.50m in length, the C5 has a powerful presence that is undeniable with a high sculpted bonnet and strong front-end design. On the top, you’ll find a stunning panoramic sunroof, the perfect addition for those days where you want to invite the sunny blue sky into your car. Fancy a road trip? Not the best at packing light? It’s no problem with the C5 Aircross’ class-leading boot space from 580 to 720 litres, signified by the larger wide and tall rear-end dimensions. Sit back and relax no matter the time of day, even rush hour will feel comfortable in the Citroen C5 Aircross. 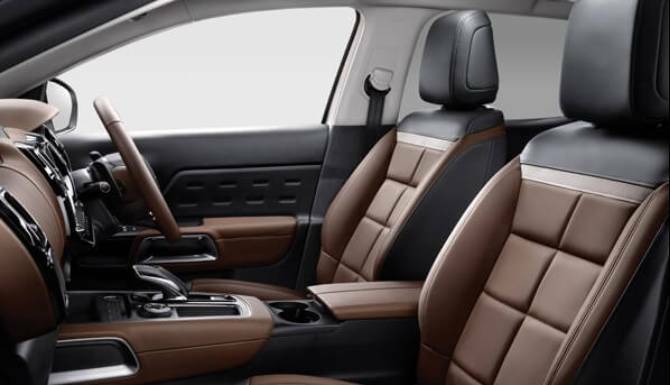 As an ambassador of the Citroen Comfort Programme, you will experience the very best in advanced comfort seats. With a combination of high-density foam in the seat centre and an additional layer of 15mm thick textured foam, you will feel supported and relaxed for every drive. Once settled inside you’ll be wowed by all of the technology at your fingertips. From the configurable digital instrument cluster with a 12.3” screen, showcasing real-time driver information, to driver assistive and entertainment features. In the back, there are three full-width individual seats, ensuring each passenger is considered without compromise. If you require a larger boot space though, each of the three seats can be laid flat to offer additional cargo room. 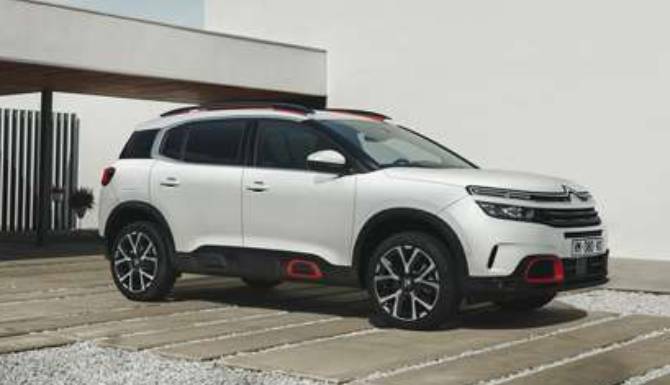 The quality of the new Citroen C5 Aircross is evident throughout, from first glance to first test drive to your daily commute or weekend adventuring. Top quality materials are matched with controls and technology to suit your driving needs. 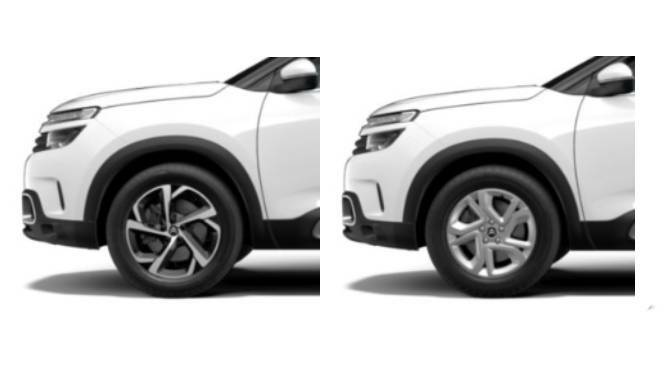 Spatially, the Aircross has a bold and strong frame with the interior to match. In the roomy cabin, there is plenty of space for all the family and their luggage, with vast head, leg and shoulder room. 17” ‘Ellipse’ two-tone diamond cut alloy wheels are as standard. However, you can add a personalised touch with the 18” ‘Swirl’ two-tone diamond cut alloy wheels, available as an additional upgrade. The Citroen C5 Aircross is a car that has been designed with safety technology and driver assistance in mind. There are an amazing 19 safety technology systems in the Aircross to simplify your drive, whatever the condition outside. Even before you enter your car the technology is evident with Keyless Entry and Start technology. Inside, you’ll have an incredible range of tech, from driving and parking aids. Speed Limit Recognition, Lane Departure Warning, Auto High-beam Function, Extended Traffic Sign Recognition and Reversing Cameras are only a few on offer. The new C5 Aircross is available in three equipment grades, Feel, Flair and Flair Plus. The New C5 Aircross SUV has a range of Euro 6.2 engine with a 6-speed manual gearbox. Or alternatively, you can go automatic with the 8-speed gearbox.